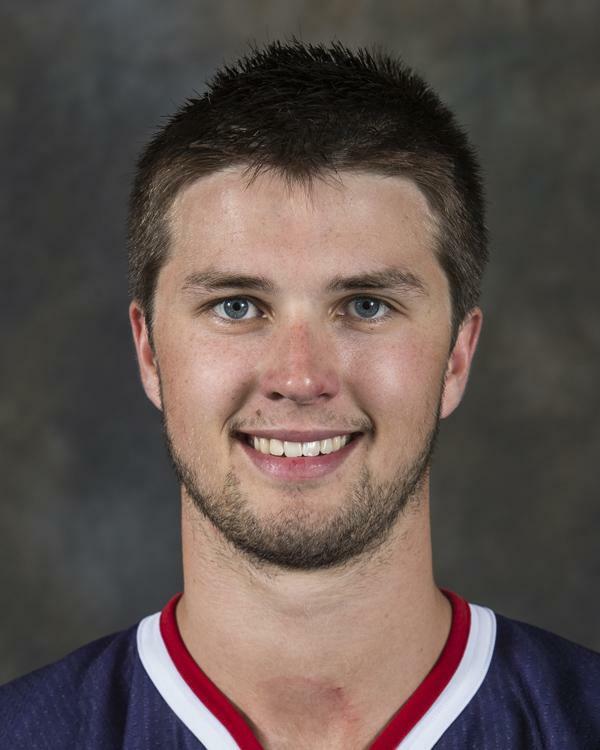 The U.S. National Junior Team’s preliminary roster grew by three players Tuesday. Forwards Vince Hinostroza, Zach Stepan and defenseman Jaccob Slavin have been added to the training camp in Minnesota to bring the total roster to a robust 29 players. With the additions, four forwards will have to be cut, while two defensemen will end up being sent home. Team USA’s general manager Jim Johansson said additions could be made later after the initial announcement last week. With three new players added to the mix, the roster decisions became a lot more interesting and the camp competitions even more heated. Both Stepan, of Minnesota State, and Notre Dame’s Hinostroza have battled some injury trouble this year, which is likely cause for the delayed additions. Both were teammates with the Waterloo Black Hawks in the USHL last season. Colorado College’s Slavin is the real surprise of the group, having not been at Team USA’s summer camp. I haven’t seen CC much this season, but Slavin has gotten a lot of good reviews from folks I’ve talked to. He brings some good size to the table and is a gifted defender with some puck-moving capabilities. More on each after the jump and what it means for the camp process. Vince Hinostroza (CHI) — C — Notre Dame — Hinostroza looked like he was locking himself into a spot in this camp with each passing week in his freshman campaign at Notre Dame. The 19-year-old center went down with an injury, however, playing against Don Lucia’s Minnesota Golden Gophers. Hinostroza was sidelined for six games, but returned this weekend for a home series against UMass and had an assist in each game. He looked as if he really hadn’t missed any time this season. As primarily a center at Notre Dame, Hinostroza could be competing for one of the slots in the middle, but he’d also be capable on the wing. He plays at a high speed every game it seems and is good in both ends of the ice despite a relative lack of size. His on-ice work ethic has always been a standout tool and he’s added more skill elements to his game over the years. He has 14 points in 12 games this season and has played on a line with Don Lucia’s son Mario at times this year. Hinostroza picked a good time to get back from his injury and even better to show that he was ready right away. I thought Hinostroza looked fairly solid in the summer camp in Lake Placid, but he was sent home as a mid-camp cut. He could be a very intriguing player in next week’s training camp, however. 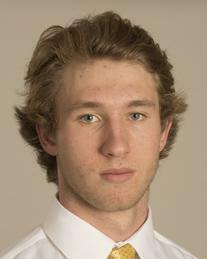 Zach Stepan (NSH) — LW/C — Minnesota State — Stepan had a solid, if unspectacular summer camp. The same can be said for his freshman campaign at Minnesota State as well. He has seven points in 12 games so far this season, which is below what was expected after Stepan put up 78 points in the USHL last season. The U.S. staff was likely waiting to see if his production picked up, though he has some two-way capabilities. If Stepan were to make the team, I’d think it would have to be as a wing, but he has played center more of late at MSU. He’s another one of those versatile players the U.S. tried to build a foundation around in this camp in particular. As a late add and a guy that has been tough to figure out this season, Stepan seems like he might be a long-shot in camp, but he’s done enough to deserve a chance to prove himself. Zach’s cousin is current New York Rangers center and 2010 U.S. World Junior captain Derek Stepan. Jaccob Slavin (CAR) — D-LS — Colorado College — As I mentioned above, I haven’t gotten to see Slavin much, but as the camp announcement drew nearer, his was a name I kept hearing pop up as a potential surprise invite. I was a little surprised not to see him on the final roster based on that. Yet here he is now. Slavin has also dealt with some injuries this year, so the U.S. staff likely waited to see if he’d be good enough to go. He has seven points in just 10 games as a freshman this year, which is obviously really solid. It’s especially good on a team that has really, really struggled to generate any kind of offense. His seven points tie him for the team lead. Slavin is a lanky 6-3, 195-pound defenseman with good mobility and range. His puck-moving has always been a strong tool for him as he posted 30 or more points in his last two USHL seasons. 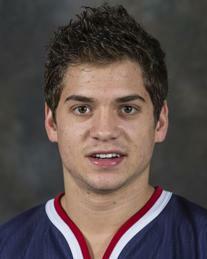 He also has some international experience, having played in the Ivan Hlinka and World Junior A Challenge. There are five left-shot D in camp now with Slavin added. Any time you add more playuers to the camp, it’s going to create quite a shakeup. The coaching staff will have more familiarity with Hinostroza and Stepan from the summer camp, while Slavin has the most to prove as having not participated in Lake Placid. As has been mentioned often, the U.S. lacks depth, which creates a lot of uncertainty in roster makeup. Finding the proper mix to get the best results is an inexact science, but the U.S. now has given itself more options with these late additions. It also puts a lot more pressure on the guys already invited to be prepared to up their game even more. Having a lot of competition isn’t always a bad thing. Competitiveness in camp so often allows the cream to rise to the top. It’s a little tougher to see where exactly Hinostroza or Stepan will fit if they were to make the team. Hinostroza very well could be a candidate for one of the center slots, which puts more heat on guys like Quentin Shore and Andrew Copp. Stepan could figure into that race somehow as well. Meanwhile, both Hinostroza and Stepan could be in the mix for a 13th forward slot, which brings more competition for guys like Ryan Fitzgerald, Tyler Motte, Henrik Samuelsson and perhaps a few others. All in this group bring different elements to the table and it will just come down to what the U.S. feels it lacks to use the 13th forward slot to increase options. This position is always toughest to predict, it seems. Slavin, meanwhile, as a good two-way defender could give a little more competition to the more one-dimensional Brett Pesce, who is a similarly-sized defenseman, but a right-hand shot. It also adds another element to the competition that includes Will Butcher and Anthony DeAngelo. Slavin really throws an intriguing wrench in the defensive decision and makes the whole competition more interesting to watch with two cuts instead of one. Adding three guys to this group certainly creates a lot more possibilities. The depth still isn’t going to be outstanding when the final roster is selected as none of these players bring what others in camp don’t. Expect the U.S. to make at least a few cuts before the training camp moves from Minneapolis to Sweden. The exhibition next Tuesday against Minnesota State could loom large in the decision process. Stay tuned for more camp preview coverage coming this week. Also, I will be in attendance for a portion of Team USA’s camp in Minneapolis and will be filing reports from there next week. Love the addition of Hinostroza, I am confident he will make this team and contribute. Stepan I’m not so sure about, Slavin seems like an ok option as the 7th dman. I think part of the additions were to bump up the intensity at camp, should be interesting.